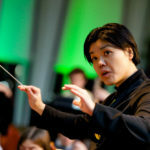 Dr. Ruth Lin has been awarded the Master Teacher: School Orchestra Award from the Minnesota chapter of the American String Teachers Association. The Gustavus music department will be a bustling place for the next two weeks as fall concerts and the Björling Music Festival take over performance spaces on campus. All concerts are free and the public is encouraged to attend. 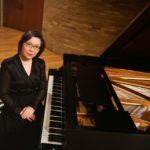 Support Children's Minnesota by attending a concert featuring Yumiko-Oshima-Ryan, dancers from Gustavus, and the Gustavus Symphony Orchestra at 2 p.m. on Saturday at Hamline University's Sundin Hall. Calling all high school instrumental and vocalists! 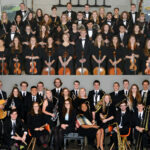 The search is on for phenomenal high school musicians interested in competing for a solo spot with the renowned Gustavus Symphony Orchestra. 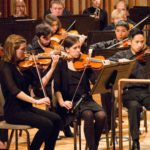 The second annual Concerto/Aria Competition for High School Musicians provides a unique musical experience for stand-out high school instrumental or vocalists. 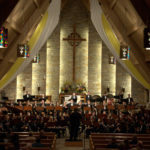 The Gustavus Symphony Orchestra will present their home concert in Jussi Bjorling Recital Hall on Saturday, April 8 at 1:30 p.m. under the direction of Ruth Lin.